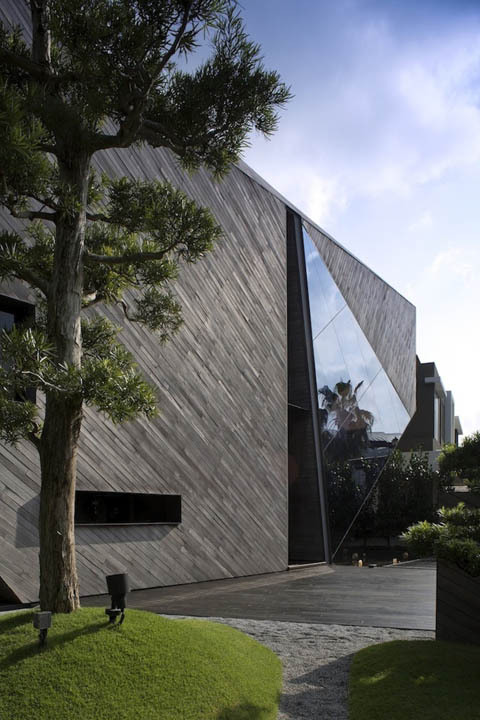 A diamond-shaped building gently rests in Sentosa, Singapore… This enigmatic volume with a huge total floor area of 464sqm seems to unleash a certain sense of curiosity for its original shape. 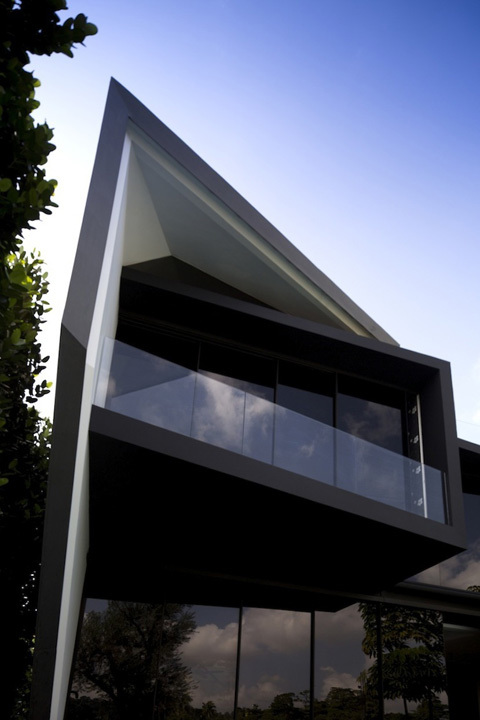 Sloping walls and roofs contribute to obtain this kind of feeling while expanding the spatial volume inside the house. Also a glazed entryway marks a profound impact in the front facade of this three-story building, separating the main living and dining spaces on either side. 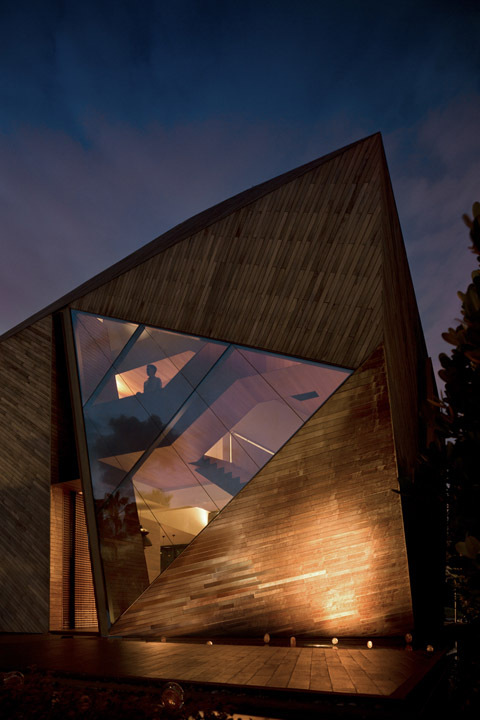 This powerful slice in the diamond-shaped volume defines the conceptual strategy behind the project: spatial tension can be a helpful tool to attain a bigger sense of space in small sites as this one. 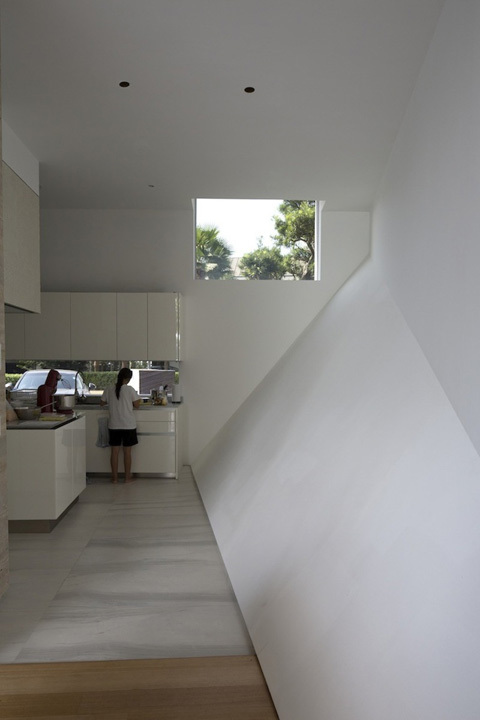 The distribution of the program is organized in different levels, taking advantage of the sloping walls to create distinct moments inside Diamond House. The basement plan has a garage and technical areas positioned at one side while a sunken courtyard provides light and ventilation to a living room and bedroom placed on the opposite side. The ground floor features all the social areas: entrance hall, kitchen, living and dining room. 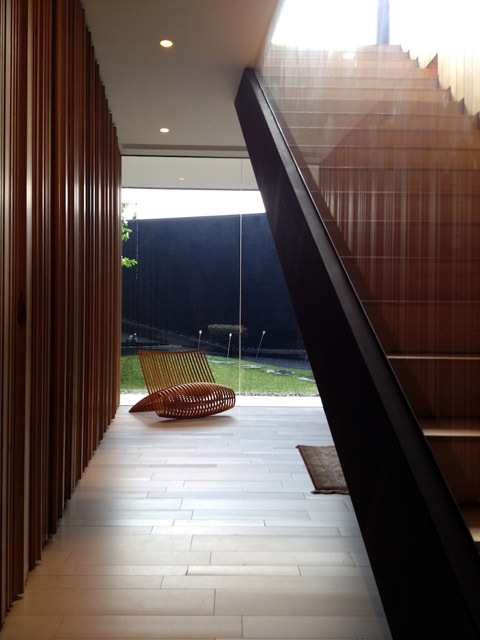 At the rear facade, full-height windows look out onto a sunken garden and a pool surrounded by trees. 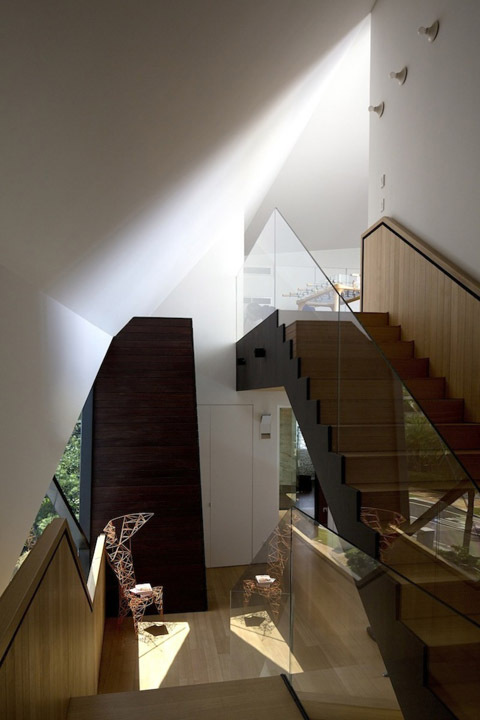 A unique staircase is placed at one corner of the house where an oak-clad handrail limits views from the street, while glass panels provide transparency and flow. Two double bedrooms with private bathrooms complete the first floor plan.